Whether you need one high-quality, commercial-grade printer or a fleet of multifunction copiers, Advanced Office is your best source for all of your office equipment and automation needs. We focus on serving businesses in the Burbank area that need reliable printing solutions at cost-effective prices. Our specialty is designing creative solutions to today's workflow challenges. 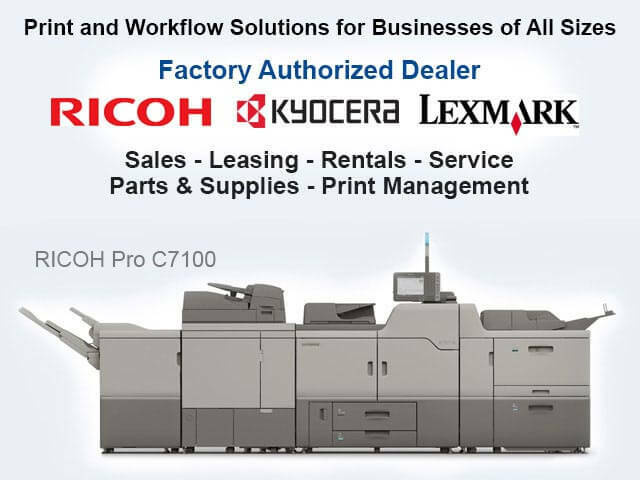 Our copier and printer selection includes multifunction copiers, single-function printers, production printers, digital duplicators, wide-format systems, and fax machines made by Lexmark and Ricoh (including related brands, Lanier, Savin and Gestetner), leaders in high-performance commercial copiers and printers. We believe that these brands offer our Burbank clients the best return on their investments. Additionally, by providing competitively priced sales, leasing and rental options, we are able to ensure that Burbank businesses of all sizes can afford access to these products for however long they need them. Call now for an estimate. Our copier and printer consultants are readily available to visit your worksite in Burbank and provide a free workflow analysis and quote. You'll work with printer and copier experts who average 13-15 years of experience. We specialize in Ricoh and Lexmark printers and copiers. We frequently participate in Ricoh and Lexmark product trainings to stay up to date on their products and the latest developments in office technology. 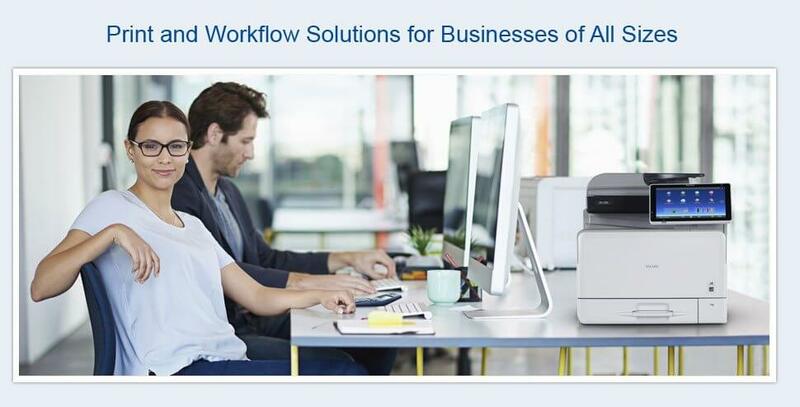 We provide comprehensive, personalized workflow solutions that increase production, improve security, and reduce printing costs and inefficiencies. We offer free product training and technical support to all active clients. We've been serving the Burbank business community for over 30 years and have an excellent reputation for responsive service, competitive pricing, and high-quality, dependable products. Our service technicians are all factory-certified and insured. We keep our service trucks fully stocked and have over $1 million in parts readily available at our local warehouse. Call today to learn more. Since 1977, we've helped countless Burbank businesses find cost-effective and innovative ways to meet their printing and document management needs. 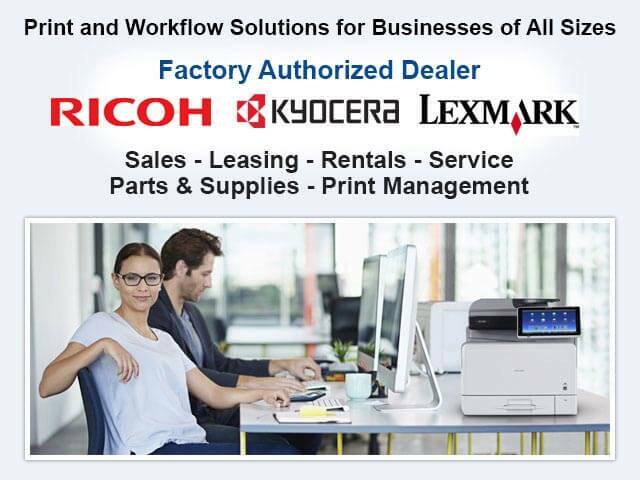 Advanced Office is proud to offer Ricoh and Lexmark's exceptional lines of copiers and printers to businesses in the Burbank area. Our impressive collection includes high-performance copiers, multifunction devices, single function printers, wide-format systems, production printers, digital duplicators and fax machines. While we offer an extensive selection, we pride ourselves on being able to accurately assess a client's unique circumstances and narrow this selection down to the very best products for their needs and budget. By providing copiers and printers of unparalleled quality at highly competitive rates with unbeatable service, we are certain to offer you the best value in copier and printer sales available to Burbank businesses. Our services include onsite consultations, delivery, installation, networking and training. Call today to discover why Advanced Office has been Southern California's leader in Ricoh and Lexmark copier and printer sales for the last 30 years. 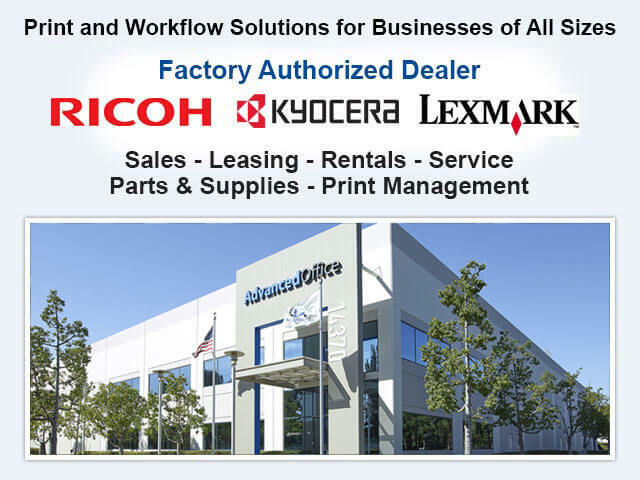 For the last 30 years, Advanced Office has made it possible for Burbank businesses to afford top-of-the-line copiers, printers, digital duplicators, production printers, wide-format printers and fax machines from two of the industry's most trusted manufacturers: Ricoh and Lexmark. Our copier and printer leasing agreements are competitively priced and available in contracts ranging from three to five years. Because we offer 100% financing and very cost-efficient leasing options, Burbank clients can often afford to explore other offerings, such as custom software solutions and all-inclusive service and maintenance agreements. 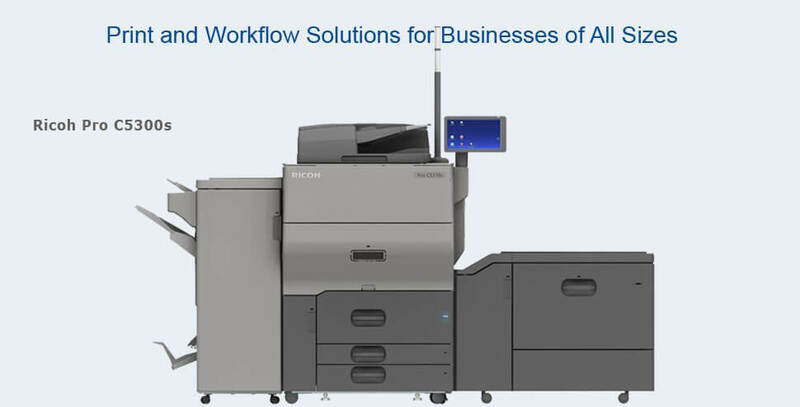 Plus, we have the ability to deliver, install and connect our Ricoh and Lexmark products in a significantly shorter timeframe than any of our local competitors. Call now for a free estimate. Advanced Office provides copier and printer rental options to businesses in the Burbank area. Printer and copier rentals are typically needed by Burbank companies looking for a short-term fix while their primary copier or printer is being serviced. Rentals are also a great option for Burbank companies that require a high-quality commercial printer or copier for a period that is less than our shortest leasing period. 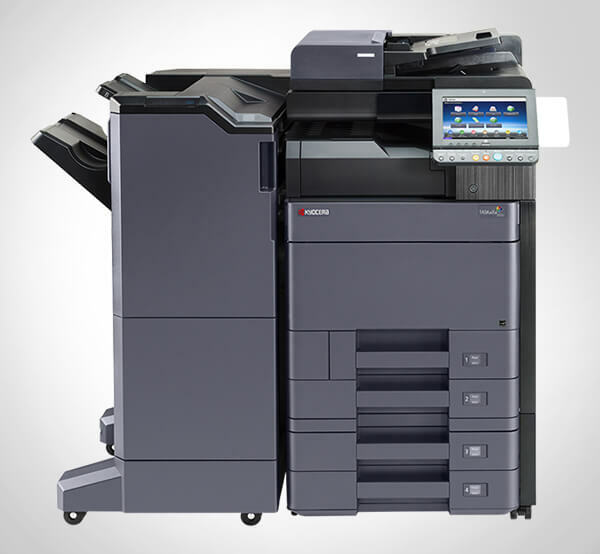 Call us today for a free estimate on a short- or long-term copier or printer rental in Burbank. The vast majority of our clients in Burbank choose to work with Advanced Office because of our worry-free service/repair and maintenance agreements. Service agreements are available for all of the copiers, printers, production printers, digital duplicators, wide-format printers, and fax machines that we sell, lease and rent. Because we understand that copiers and printers play an integral role in a business's productivity, we have prioritized fast response times, first-call effectiveness, replacement part availability, and quality service. Additionally, we aim to be our client's one-stop shop for all of their printer and copier needs. That's why, in addition to standard parts and labor service agreements, we also offer an all-inclusive service and supply agreement that includes everything but paper and staples. These agreements include routine maintenance visits, urgent repair and service visits, on-site product training, access to our technical help desk, and more. Call today for a free estimate on our cost-effective copier and printer service and supply agreements. Advanced Office offers Burbank businesses the opportunity to own a Ricoh copier at a fraction of the price of a new machine. We accomplish this by selecting lightly used Ricoh copiers that have recently come off of our short-term leases and rentals and refurbishing them to like-new condition. Each of these used copiers is stripped and cleaned before being furnished with new high-wear components. Once these machines pass an extensive 60-point inspection, we certify them for resale. Call today to learn more about our refurbished Ricoh copiers.